"At the start of my boxing career my family didn't want me to do it because I'm an Asian girl. 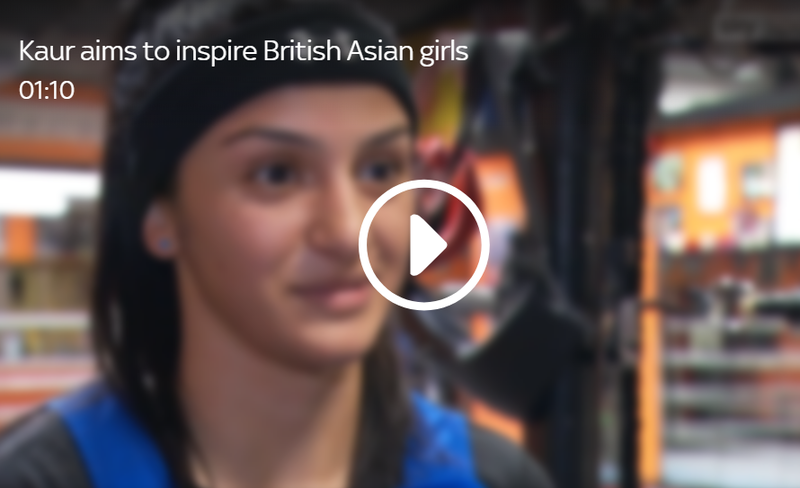 You don't see many British Asian girls in sports these days. As soon as I had my first fight, I won, and they saw the medal and they were just over the moon for me. From then on they've been supporting me." "If I could be a role model for younger British girls that would be amazing cuz I didn't have that. When I first started my brother helped me, my mom helped me, I had no one to look up to but if I could be that person someone looked up to, that would be an amazing feeling."